In addition to supporting the Ivan Calderwood Homestead, Vinalhaven Eldercare Services raises funds annually to provide the following services to the elderly residents of Vinalhaven at little or no cost. Medic Alert, a telephone safety service, installation and monitoring. VES provides this service to any resident who requests it and covers 100% of the cost. 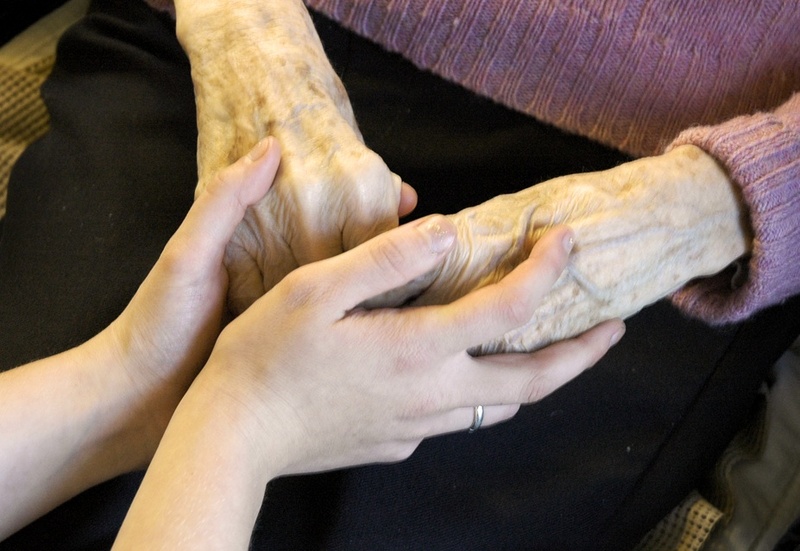 We consider this an essential service for the elderly living along as well as an essential part of our mission. Currently over 35 medic alerts are provided to elderly residents on Vinalhaven. This service is 100% paid for by VES at a cost of approximately $450 for installation, the “button” worn by the resident and the phone as well as a monthly fee. Meals on Wheels. This service provides a nutritional meal to the elderly individual receiving it. Additionally, island residents receiving meals from the program benefit from a social visit, which also acts as a check-in on their wellbeing. Currently over 40 individuals, all of whom do not live at the Ivan Calderwood Homestead, receive meals from this program. Loan of medical equipment including hospital beds, wheelchairs, walkers, etc. The loaning of medical equipment provides an immediate benefit of savings to the families needing the items. We provide items such as hospital beds for those who are infirmed for a lengthy period of time. VES provides commodes, hospital beds, walkers and other medical equipment and no charge to all residents of Vinalhaven. Quick access to this equipment is essential, especially for sick and injured residents. Transportation services are available to residents and elder community members alike. VES is the only provider of transportation services on Vinalhaven. There is a growing need by island elders for transportation to access community programs, shop for groceries, and to receive care at our island medical center. Our new Subaru Forester helps provide comfortable and safe transportation, and our wheelchair accessible van is also available to the fire department and EMS services when needed. Health risks increase when residents do not have easy and reliable access to transportation for medical appointments and other needs. Individuals may put off appointments if they don’t have access to transportation. Elder Ride is available for all of our community elders and is supported through generous donations. For those who have cared for a family member or loved one in times of ill-health or cognitive impairment during their lives, it may sometimes feel impossible to balance everything at once. Sometimes all that is needed to stay healthy and able as a caregiver is the assurance that their loved one is supported, respected, and safe for a time while they take care of themselves and their other responsibilities. VES is thrilled to be able to offer Adult Day services to provide respite for caregivers and socialization for their loved ones. We are dedicated to a person-centered model of care that recognizes the whole person and respects the dignity of our clients. Utilizing these services can support and strengthen your ability as a Caregiver – or as we like to say, “care-partner” – to continue to give quality care. Contact the administrator for more information on how to organize respite care at the Homestead or in your home. The VES Ivan Calderwood Homestead also hosts social activities such as book club, movie nights, exercise programs, games, a craft group and more. The Homestead hosts monthly Donut Socials to share a cherished Vinalhaven food tradition and provide another opportunity for the community to come together in the beautiful space our residents call home. The Homestead has partnered with community groups and non-profits to provide creative, educational, and intergenerational programming to celebrate the lives and stories of our elders, and celebrate the uniqueness of the multigenerational community Vinalhaven enjoys. Everyday there is a full line-up of activities run by staff, local non-profits or volunteers, or opportunities for residents to connect with the community through events around town. With more opportunities for socialization and community engagement, residents are able to remain active members of the community and connected with their family and friends. This helps alleviate loneliness and the feeling of isolation. The residents of the Ivan Calderwood Homestead have a greater sense of well-being and better health with increased social activities.